The Animalhaus stock pet photography site is collaboration between between our team and talented pet photographers around the world who contribute their valuable pet images. In the beginning, we invited 100 of the world’s best pet photographers to contribute 100 images each. As a result, Animalhaus stock site launched with 10,000 high-quality, authentic pet business related images. 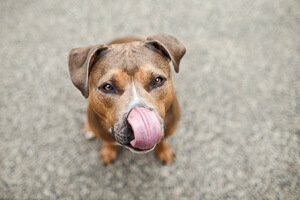 Looking to hire a pet photographer? You’re in the right place! The top tier of pet photogaphers on the Animalhaus stock site are the Elite Pet Photographers. 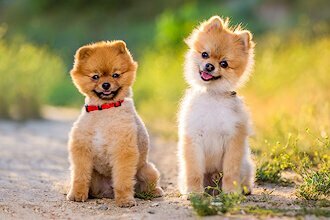 These photographers are among the most skilled, recognized and experienced pet photographers in the world. If you’re looking for the best of the best when it comes to commercial pet photography, these are your people. This is an invitation-only tier available only to the top percentile of pet photographers. The premium pet images on the Animalhaus stock pet photography site were created by these experts. The second tier of pet photogaphers on the Animalhaus stock site are the Master Pet Photographers. These photographers have attended and graduated from an Animalhaus Masters Series Workshop where they have worked one-to-one with our expert advisors and elite-level Animalhaus pet photographers to improve their commercial pet photography and commercial shoot production knowledge and skills. Master Pet Photographers are indicated below by the pegasus beside their name. The regular tier of pet photographers on the Animalhaus site is the Professional Pet Photographer level. Most of our contributing pet photographers are in this group. Furtography: I’m Craig, crazy cat daddy, puppy parent and patisserie addict. Furtography is my business and my passion. Based in Christchurch, New Zealand and travelling the world. I work with clients, both private and commercial to capture their dream images of pets in bright and glorious Technicolor! Oh, I’m also the author of three bestselling pet photo books too! Images inspired by the love of movies, where pet and location come together to portray a slice of life. Action or romance, comedy or sci-fi, every photo a frame that tells a story. Every pet is a star captured with an elegant, whimsical style. Amelia Soper Photography: Colorful lifestyle and pet photography for people who celebrate unique personalities, joyful connections, extra-large lint rollers, and the charm of every day life. Nicole Begley Photography: Nicole is a zoological animal trainer turned pet photographer based in Pittsburgh, PA whose work has been featured internationally. She loves to create modern and expressive images of man’s best friend and anything else with fur, feathers, scales, or tails, especially images showcasing the relationship between pets and their people. 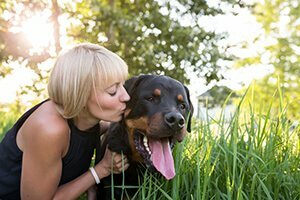 A small, custom photography studio providing the best professional dog photography in Connecticut. LOVEDOG & CO: Liz specializes in portrait and lifestyle pet photography. Her uniquely creative style emanates from a life-long pursuit of being a professional photographer. Liz has particularly combined two of her greatest passions in life – her love for animals and photography into a meaningful career. 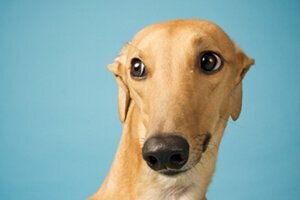 The Artisan Hound: For me, dogs are the perfect subject – expressive and entirely unique. Whenever I photograph a dog I’m free to explore all the things I love about art – aesthetic, inspiration, beauty. I founded The Artisan Hound to explore the connection between dogs and art, creating distinctive portraiture for discerning dog lovers and their one-of-a-kind canine counterparts. 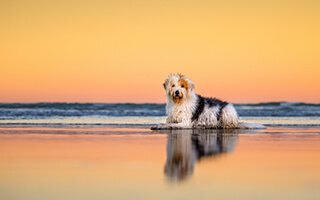 Ruthless Photos: Based in Sydney, Ruth O’Leary has been one of Australia’s premier dog photographers since 2008. She takes colourful and emotive photographs of dogs in stunning locations. She shares her home with four rescued blockheads and the occasional foster puppy (or four!). Several hours a week are spent using her skills to help dogs in need. 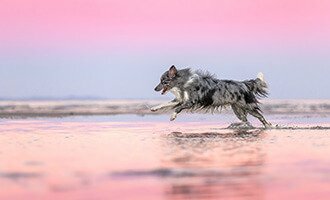 Mareike Konrad Fotografie: Mareike is a German photographer specializing in outdoor dog photography. She creates colorful, vibrant and natural images by using very shallow depth of field, available light and beautiful bokeh. If you are looking for happy dogs and emotional pictures of dogs and their owners, take a look at her images and get inspired by her unique style. A small but mighty creative team of dog nerds who know the life-altering power of that one dog—the one that changed everything. Bill and Nat draw by hand, shoot with film, sip whiskey and work/play in the great outdoors, doing what they love for commercial clients and passionate entrepreneurs. Photography by Sara Riddle: specializes in lifestyle photography for pets and their people. It’s all about capturing unconditional love and real moments in a relaxed and modern style. Sara has been one of the premier pet and people photographers in the industry since 2009. Based in Northern Virginia, available for travel. 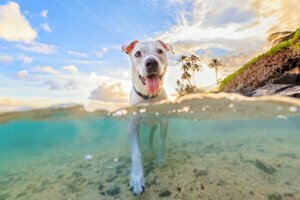 Keri Nakahashi Photography: Hawaii based photographer capturing natural, colorful, and meaningful images of dogs and their people. Inspired by our pristine beaches, amazing sunsets, and everyday moments and adventures with my best (dog) friend. My mission is to create playful portraits of happy dogs in beautiful places that can be cherished forever. Dogs are at their best when they’re out in the world, whether the woods or the workplace, doing dog stuff: getting wet and filthy, chasing things, keeping their humans company. These are the moments I love to capture and share, in bright, cheerful tones that evoke the joy they bring into our lives. 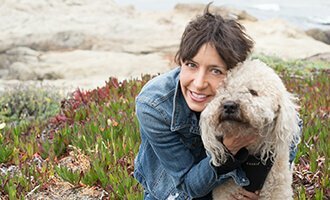 BrindleBerry Acres: Holly Montgomery is a photographer, serial petpreneur, author and animal advocate dedicated to elevating the businesses and brands that enrich the lives of our canine companions. Holly believes that our pet dogs deserve healthful, fulfilling lifestyles that enrich their bodies and minds. She loves telling the stories of these beloved dogs through her imagery. Hawaii Pet Portraits: specializes in portraying the special bond that humans have with their pets by capturing the full range of emotions and candid moments, both in the studio and on location. Our pets have brought immeasurable joy to our family, and have connected us to our wider pet community, where we are always looking for ways to give back. 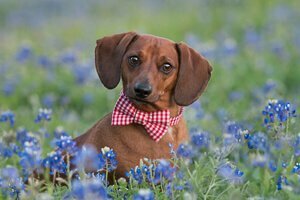 Megan Murray Photography: Dog photographer based in Houston, Texas who believes that dogs are family. A portrait session with Megan is a doggie play date that results in custom artwork featuring your best friend… smiles guaranteed. DoggieTales Pho(dog)raphy: Fine art landscape photographer, Wendy Hudnall, discovered that her skill for capturing beautiful locations combined with her all encompassing passion for dogs make for some very special magic. It is her pleasure to capture dogs in their element in the great outdoors where they feel free to fully exude their very special brand of “doggieness”. Allison Shamrell Pet Photography: Full-time pet photographer (#livingthedream) since 2010. She’s based in San Diego, and available for custom work internationally. Her favorite things are dogs, photography, the beach, craft beer and Mexican food. Happy Dog Mom: The dog mom’s guide to a happier, healthier life for you and your dog. Stories, photography, wellness tips and a community of women who know it’s not crazy to love your dog like family. 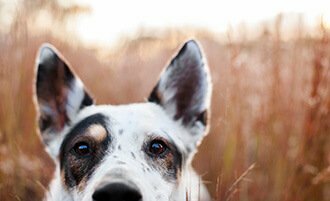 Sarah Beth Photography: Minneapolis based photographer specializing in fun, bright, personality-filled images of pets, both in studio and on location. She founded joysession.com to help people discover ways to make saying goodbye to their pets a little easier. Commercial clients include Target, Cargill, AAA, Bark, Parade, and Dogster. Dog Meets Girl: I am a Pet Photographer based in sunny South Africa, Cape Town, to be exact. The why behind what I do, is to have a reason to be around such perfect beings everyday & most importantly keeping their memory alive in the form of a photograph. 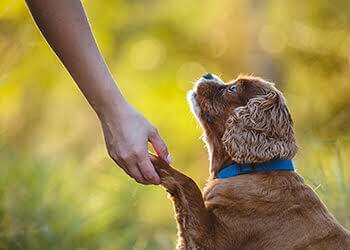 I feel a responsibility to be a voice for our pets. CatsDog creates loud images full of colour and personality, just like Cat’s dog (our mascot) Poppy. 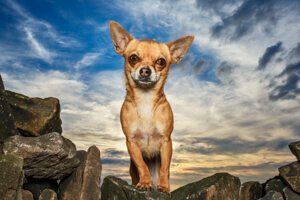 This little Chihuahua, alongside the many furry friends we meet, help us to tell authentic, quirky and dynamic stories. Westway Studio: Taco snob, s’mores aficionado, country girl, and crazy dog lady: that’s me! 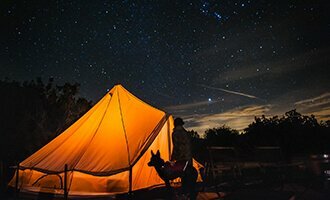 I’m happiest off the grid, in the mountains, beside a cozy campfire, with my hubs and our pup. With Westway, family always comes first, I aim to do lots of good, leave a legacy of memorable stories, and pioneer new trails. Hairypants Photography is all about celebrating the joy of a life shared with pets. The Hairypants style is colourful and authentic with a focus on fun, love, and connection. Kelly’s passion is creating artwork for her clients that captures in an image what it feels like to love and be loved by their pets. Award-winning pet photographer Charlotte Reeves has fearlessly photographed over a thousand dogs since 2007. Her work has received acclaim and recognition internationally. Whether she’s shooting for a commercial or private client, she holds herself to high technical standards and an emphasis on capturing beautiful light, amazing locations and outstanding expression from her canine subjects. Fog Dog Studios: We take a fine art approach to our images whether in studio or on location. Our style is expressive and candid, traditional and modern with an emphasis on creating custom fine art portraits. 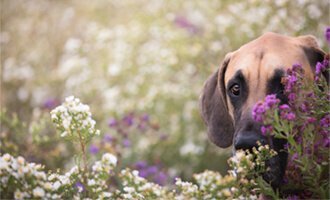 The Sage Hound: We believe in being in nature, having adventures with our dogs, reducing our impact on the environment and living life like someone left the gate open. Hi, I’m Christine Crosby and my business is Sunlight Inspirations … I believe in capturing the light within … using the light all around to enhance that radiance … whether a flicker or a beacon. Karen Weiler of Posh Pets Photography is an animal photographer based in Toronto, Canada. In addition to portrait commissions for private clients, she also creates commercial imagery for posh brands and businesses. Holly has a life long passion for animals. Puppies, especially, melt her heart. Her endeavors have included an award winning pet sitting service, a dog walking service as well as pet photography. Her goal is to capture the magic of pets with her camera. Tails of Time Pet Photography: is dedicated to capturing the unique spirit of every dog, cat and horse through modern, expressive and colourful portraits. While freezing time and preserving the bond between pets and the people who love them. InBetween the Blinks Photography: specializes in vibrant, modern images of pets and their people. Her business is inspired by her volunteer work with animal shelters and the unique bond between pets and their families. Janet Waldbillig owns A Tail to Tell Photography in beautiful Vancouver Canada. Janet specializes in shooting in the great outdoors, with natural light, and takes great joy in “capturing your pet in their happy place”. Star Paws Photography: Specialist pet photographer based in north east England and working across the UK. Custom pet portrait sessions for your furry (and hairy, scaly or feathered!) friends, plus commercial photography service for pet businesses – for pets who deserve the very best! Sharon is a Canadian pet and family photographer living on Vancouver Island in beautiful British Columbia. Dogs I Meet: We believe every dog has a tale. Chief Storyteller, Mindy Dutka, roams the globe in search of every dog’s story. Based in Boston, she photographs family dogs, out-and-about dogs, and shelter dogs. Mindy’s mission is to honor family dogs, capture invincible bonds, and inspire animal advocacy. Leslie Leda is a New York City area photographer with a true passion for dogs, photography and travel. She specializes in unique pet photography for private clients. Fetching Foto Photography: Kim is based in St. Charles, Illinois near Chicago. A therapy-dog handler and certified nature photographer, her soulful, distinctive, larger- than- life animal images are her passion. Spreading smiles in the name of the pet! BARKography: I’m combining my love of dogs, photography and travel. I create dreamy, heartfelt images of the dogs we love. Charlotte NC based. Willing to travel the US, Canada and abroad. Following my dreams and choosing happy. 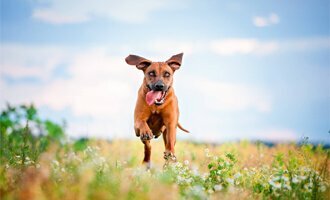 Cameras and Canines Fine Photography: Over a decade of working with dogs and studying canine communication gives me a unique perspective. My inspiration is my property in the foothills of the Rocky Mountains. 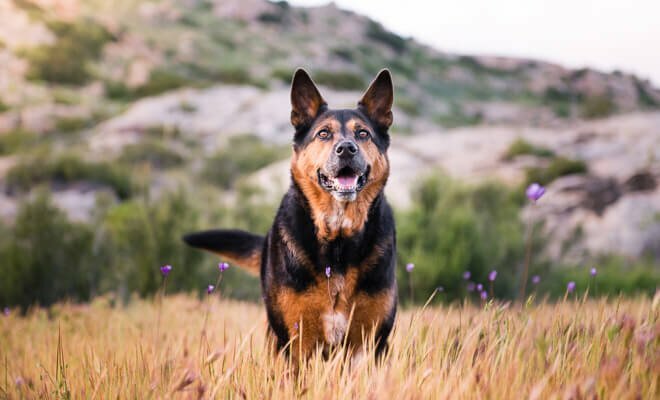 Erin King Photographer: Delightful and Divine Pet Portraits – Photographing dogs who are your LOVE, your LIFE, your INSPIRATION and your EVERYTHING! As well as being an AIPP Accredited/Award Winning Professional Photographer, Erin is a crazy dog lady and supporter of animal rescue. The Velvet Big Top: My favorite images to create are those that tell a story… often a magical story, sometimes a whimsical one, and every so often even a scary one. Colors, vintage items, and animals are often my inspirations.cue. Our goal is to capture the essence of your pet and to provide you with fun, contemporary images creating memories that will last a lifetime! Both in-studio and on-location sessions are available. Jo Lyons Photography: We believe that all animals deserve to be cherished, so we offer holistic insights and authentic photography to families who really care. Jo is a huge advocate of pet adoption so she volunteers her talents every week for free at her local animal shelter. KEW Images Photography: I have been photographing dogs as far back as I can remember. I do a lot of photographic work for public events and charities as well as pet portraits, capturing dogs just being natural and enjoying life. Happy Flying Dog Photography: Of all the blessings my dogs have led me to, photography is perhaps my favorite. I just love capturing the happy furry souls that bring out the happiness in us everyday! 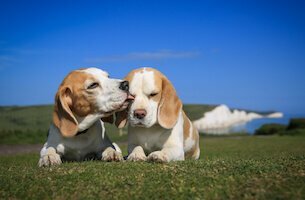 Katrina Wilson Photography: I am a UK Pet Photographer who is passionate about capturing the personality of dogs, cats and other small animals. I photograph both outdoors on location, and indoor studio set ups. Greyboy​ ​Pet Prints: Mandi Pratt is an artist based in southern CA with 20+ years in the graphic design and photography industries. In addition to photography, she offers one-of-a-kind fine-art etchings. 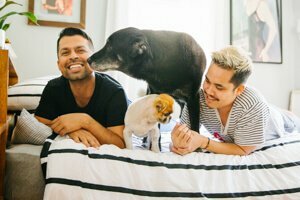 Fuzzy Furry Fierce Photography: is the fusion of founder Megan Pozza’s passion for pets, people, and photography. Megan creates fresh and fun natural light photography that captures the personality of each furry (or scaly) subject. 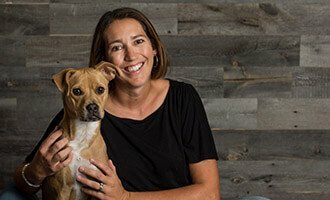 Award winning Denver pet photographer, Deanna Hurt, is dedicated to telling every dog’s story and capturing them just being themselves. Especially if that story includes goofy smiles, squishy noses, and the biggest puppy dog eyes that ever existed. Life with Fur Photography: Every animal has its own unique personality, quirks, and eccentricities. As a “pets & their people” exclusive photographer,we specialize in portraits of pets for the people who love them, creating authentic artwork that lasts as long as that love. 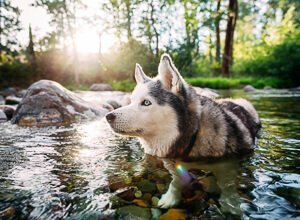 Chase & Snap Pet Photography, based in Northern Vermont, specializes in modern, candid, on location photography of pets in their natural environments. No props. No poses. Just the essence of your furry family member captured in a quality keepsake, yours to cherish forever. FotoPet Mexico: Offering outdoor and studio photography for all kind of pets around Mexico City. She also is happy owner of two cats and one dog. Joy-Therese Photography: I’ve been capturing moments with my camera for as long as I can remember and these days, my horse is my model since I can pay him in apples. I believe our pets have unique spirits and personalities that deserve to be captured through beautiful photographs. Kimberly Sarah Photography: I live in the beautiful New England area of the United States. I love to have fun with my photography and to also create custom images for my clients. TS Pet Photography: l am a pet and wildlife photographer in Eagle River, Alaska. I belong to a schipperke named Ranger, which is the dog featured in my brand. He runs my life and I wouldn’t have it any other way! The Single Frame: Jennifer Singleton focuses on a variety of subjects, including dogs and horses. And for her lifestyle brand, The Novel Cat, she creates cat portraits for book people. Chickpea Photography Studio: My photography superpower is creating meaning-rich experiences that capture you and your relationships. We offer candid portraiture for life’s many messy, imperfect, joyous and beautiful moments with our pets. 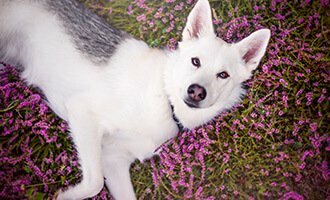 Karen Smith Photography: UK photographer specialising in creating authentic pet portraits, naturally lit against a backdrop of beautiful countryside, woodland and parks. Capturing special moments, curating wall art and memory books to treasure forever. Available for commercial assignments. Emilee Miller Photography: is based in Orlando, Florida, and has been photographing pets since 2008. She adores her job and strives to capture the bond and adventures we share with our very best friends, our pets. Purple Horse Designs: I am a fine-art equine and portrait photographer located on the Eastern Shore of Maryland. I specialize in photographing horses and the people who love them. Indigo Pet Photography: I love to laugh and bring lightheartedness to people who are kookoo about their pets. My images tell stories that document an animal’s essence, with honesty and a sense of humour. Alex Morgan Photography: Alex is a passionate and creative photographer, who also teaches Animal Behavior. Her calm manner and experience with a variety of animals, including exotic species, enables her to capture every animal at its best. Barque Studio: After being a professional photographer of children and farm animals for over 7 years, I have found my happy place photographing dogs. Here at Donna Kelliher Photography we’re all about the dogs! I combine my BFA in Photography with 20 years as a professional, positive trainer to create images that you will treasure for a lifetime. A Dog’s Life Photography: I believe in the power of nature to bring out the best in our dogs and allow us to live our best lives. My photography captures this peace, joy, and connection, celebrating dogs being their true selves. Arken Studios: Based in Sonoma County, California. I get excited for every shoot with dogs, both in the studio and outdoors. My style is more in the refined dog portrait rather than the running and jumping dog photography. 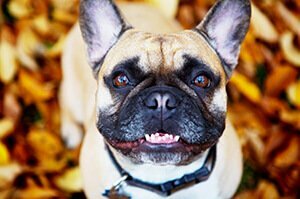 Bitsa Bernard Photography specialises in photographing pets with the humans that love them. Kirstie shoots solely in natural-light, either at the beach, park or forest for her clients, coffee table books and for commercial assignments. Jenn Wilson Pet Portraiture provides on-location pet photography services in the Southwestern Ontario area. Jenn is a cat-savvy, dog-adoring entrepreneur who delights in capturing fun and natural photographs of your cherished pets. Timeless Tails Pet Photography: Following my passion for four legged furry friends, I began my business to allow dog owners to keep elegant and spontaneous moments with their pets and to help rescue dogs their “furever” homes. Through Ono Pet Photography I strive to show the love our pets give us unconditionally. I also proudly create uplifting photos for the local shelter so that potential adopters imagine these deserving dogs and cats as family. Linda’s Pet Photo specializes in capturing your dog’s expressions, feelings and thoughts. Her love of dogs started back in childhood along with photography but what got her going is volunteering at her local animal shelter. Volunteering now for over three years has given her so much joy and love, that will always be on top of her list to give back. At the shelter she was trained to work with all types of dogs from shy, rambunctious, young, old, sick and injured. This has given her the unique ability to relate to each dog as she photographs them. Creating images of your pets that will last a lifetime is her number one goal. Paw Shots (By Gerald Murray Photography): Providing high quality Pet Portraits and pet inclusive family portraits to Saskatoon, SK and surrounding areas. 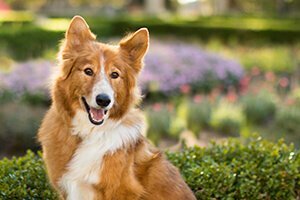 Thank Dog Photography: Dallas-based pet photographer specializing in fun, authentic images that are full of personality. 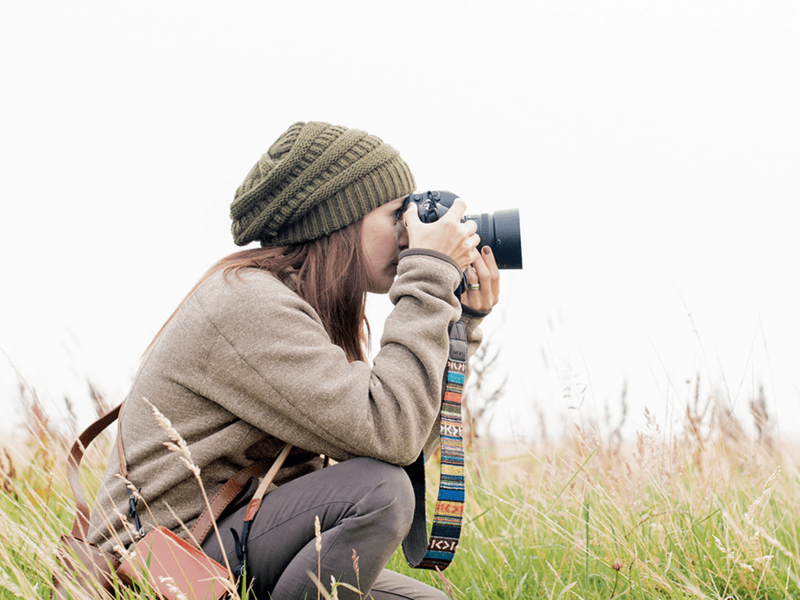 Jennifer McCallum Photography: Having fostered over 100 cats and dogs (not all at the same time, obviously) I wear my crazy cat/dog lady badge with pride. It’s well earned! While my travel images have been purchased by companies including Conde Nast Traveler, Fodors, and Hertz, my real passion is photographing animals. My specialty is capturing the everyday lifestyle images of what it’s like to be part of the pack. Bryant Dog Photography: Simple. Original. Authentic. Dogs fill my heart. They have humor, whimsy and a joy of life. They live in the moment. My photography is about capturing the essence of each dog’s personality and making each person feel, along with me, the joy of sharing their lives with dogs. From golden sunsets in San Diego to swaying pines in coastal Oregon, Audrey combines her obsession with animals, sunsets, and travel, bestowing her clients with dynamic and extraordinary pet portraits and custom artwork to treasure for a lifetime! 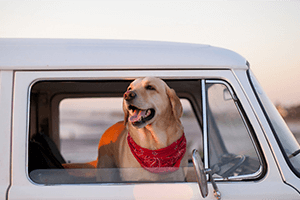 Secure a spot on her road-trippin’ photo ops, raising funds for rescues . . . at a sunset near you! DogShotz Photography: Pure joy. That is how I feel when in the company of dogs. I realized my passion later in life and now I get my fix by volunteering my photography skills at my local shelter. I’m a Newfoundland, Canada based pet, landscape, wildlife, and portrait photographer. My goal when photographing pets is to capture more than just a few beautiful images but to capture their personality and tell their story. So when you see their photos you immediately feel you know them. I love simple lines and good light –both in the studio and in nature. A photographer since childhood and Elkins Institute graduate, my work has always been emotional, warm, clean and modern. I feel inspired by the spirit of the people and animals I photograph, and grateful to have made my living with a camera for many years. 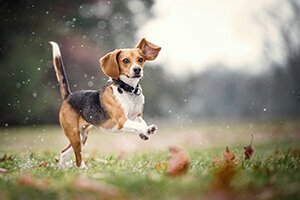 Jonathan Yearsley Pet and Equine Photography: Based in the rolling green hills of North Wales, my, award winning, distinctive natural light and flash lit images capture dogs exploring and enjoying their outdoor environment. Beautiful portraits, landscapes galore and action images of working breeds are what I love to create for my clients.